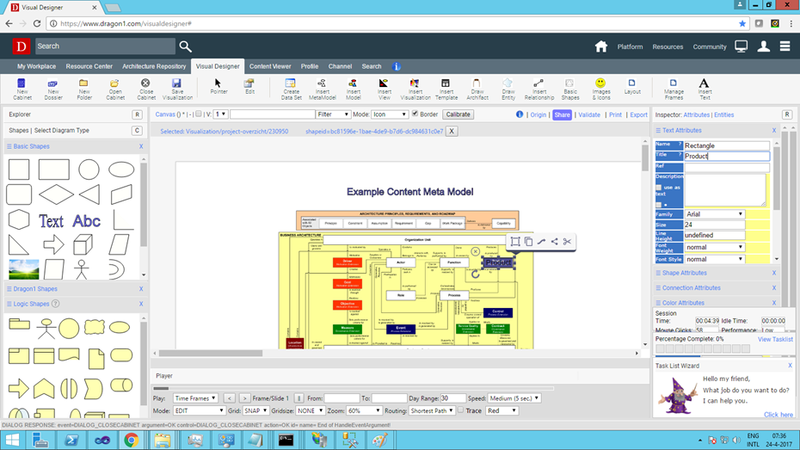 Dragon1 as digital platform for Co-Creating and Managing Enterprise Architecture, is fit for purpose for TOGAF. 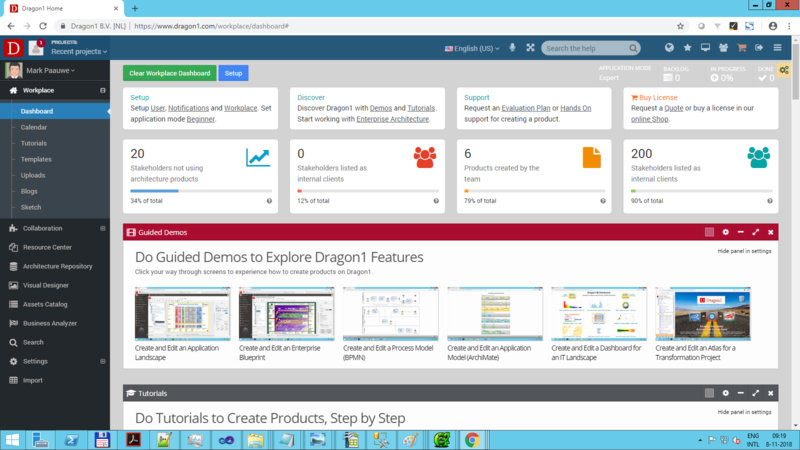 Dragon1 is an integrated set of web applications, enabling you to do amazing things. With these applications you can collaborate on collecting data, co-create models and views and share visualizations with your stakeholders. 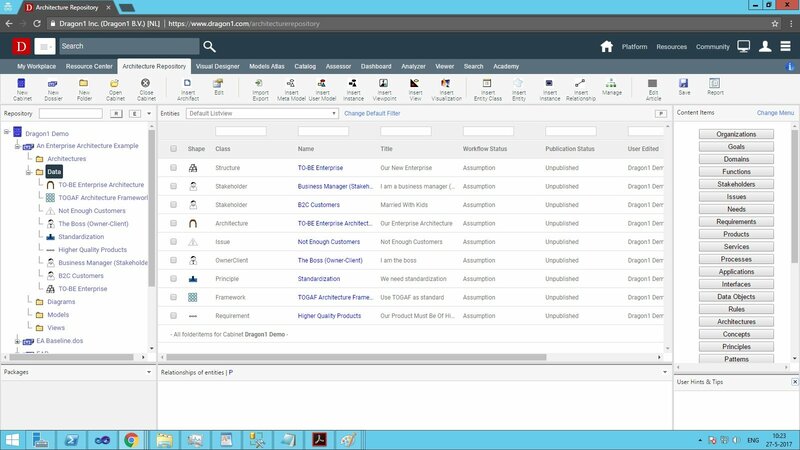 Here you manage your projects, clients and contacts. You checkout templates, tutorials and access your other web applications. Below you see screenshots of the Architecture Repository. 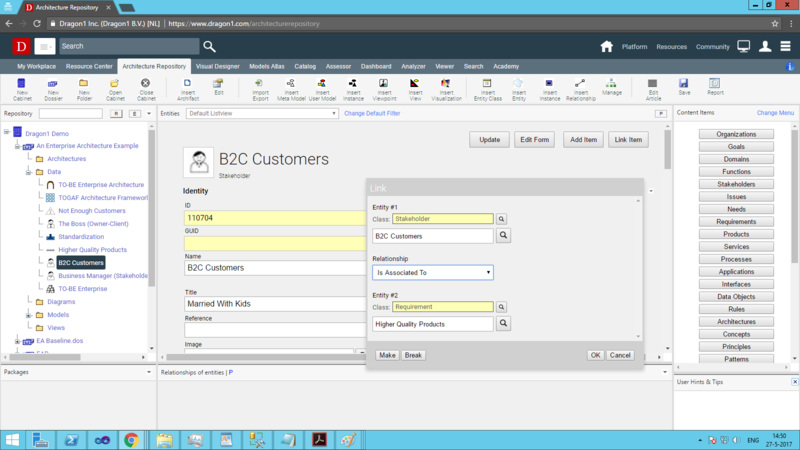 These show that you can enter all the data you need working TOGAF compliant. Below you see screenshots of the Visual Designer. 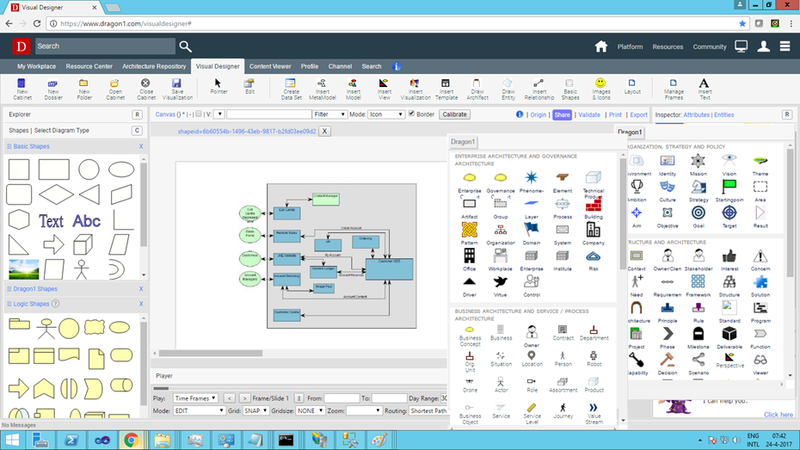 These show that you can model and visualize any TOGAF artifact. Below you see screenshots of the Content Viewer. 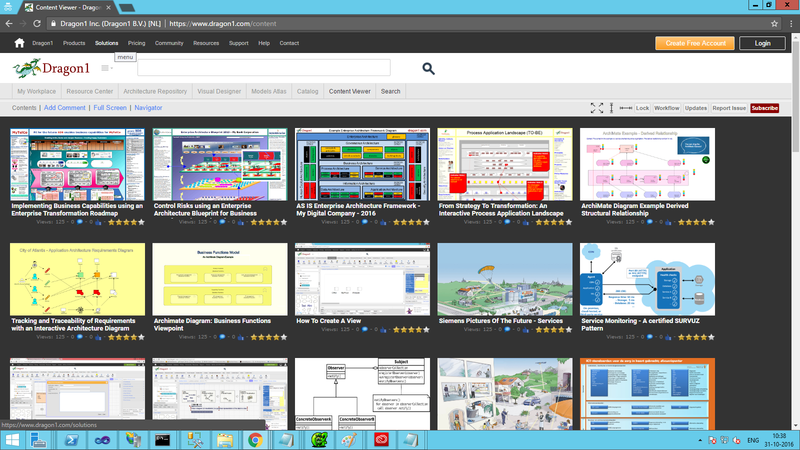 These show that you can publish any visualization for maximum stakeholder involvement. Got Interested? Get Started Now! 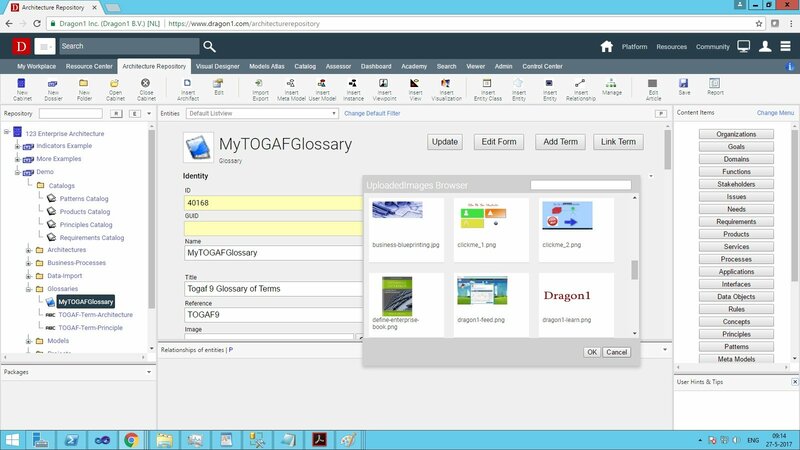 If you are interested in using Dragon1 as TOGAF Tool, you can create a free trial account on Dragon1 (no credit card required!). For any questions please mail us at info@dragon1.com.